A few weeks ago, I was contacted by Best in Baby Biz Magazine for an interview for their online magazine issue. 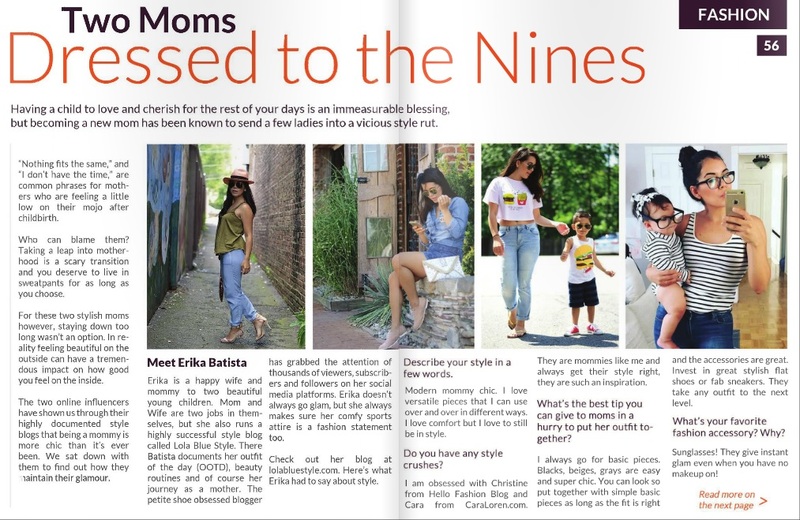 I am super honored that BIBB loves my blog and I was more than happy to answer a few questions about my life as a mom... a blogger mom. This was actually published last week, but due to the mayhem of my move I am just getting around to sharing it with you guys. If you want to read the two-page spread you can by visiting it HERE. As always, thank Y O U for all your constant love and support. I wouldn't be where I am without you, my loyal readers and supporters. My blog has taken a very different route than I ever expected, and I am so happy with where we are. And cannot wait for more to come! Every opportunity I get is because of your love and support. I can't thank you enough. I hope you enjoy the read.